Inspired by a true story and based on a wealth of family documents, this elegant and compelling novel chronicles the lives of two families from the 1930s through the coming of the Nazis and World War II, and the long, difficult post-War period to the present. A must-read for fans of Irene Nemirovsky, Hans Fallada, and Bernhard Schlink's The Reader. This vividly realized, masterfully executed novel is a window into a little-explored corner of history. 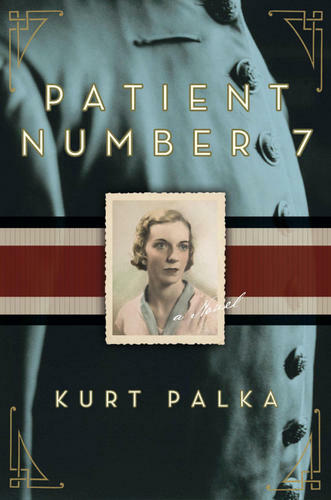 Patient Number 7 is a story of love between an aristocratic young woman and the cavalry officer -- later Panzer officer in the German army -- she marries; between friends who help each other through the Nazi takeover of Austria, the war, and what was sometimes worse, the "liberation"; between a mother and her two very different daughters. But it is also the story of a nation's darkest days, and its slow recovery during one of the most convulsive, violent periods of human history. Beautifully written, haunting, and ultimately redemptive, it is a work of great skill and great compassion. Patient Number 7 gives reader a unique glimpse into how World War II impacted Austria. Based on family documents, author Kurt Palka has drilled down into everyday life to demonstrate how all lives were affected by the Nazi Third Reich. The main character is Clara Herzog, a young woman from a well-to-do family who attends university in Austria. As a philosophy student, she is the student of Sigmund Freud and other notable famous mentors. Against her family’s urgings, she falls in love and marries a cavalry officer who soon joins the Panzers in the German army. Left alone, she struggles to raise their two daughters while war rages around them. She faces numerous conflicts ranging from losing her position at the university to Third Reich party members to being raped by a Nazi officer. Patient Number 7 is about one woman’s endurance and the choices she is forced to make for herself and her family. What I found most fascinating was how Nazis slowly infiltrated all businesses, all levels of government, and society in general creating a wave of fear and slowly taking over all aspects of Austrian life. This is a unique, compelling, multi-layered novel about an unforgettable woman!